I'm very lucky that through blogging I've had the chance to work with many lovely companies and met such sweet people. One of those is Beebies Baby Store. I hosted a competition in 2013 and have spoken to the lovely Ami ever since. 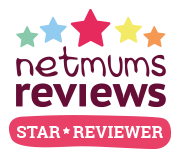 Beebies Baby Store is an online store that stocks all things maternity, baby and toddler. There are amazing brands and a wide variety of items. They are also looking for two new ambassadors. These ambassadors will take part in reviews, host competitions and be part of the Beebies family. I'd love to be an ambassador for Beebies and here's why. Blogging and social media is a funny thing. You become connected to people that sometimes you've never meet. You support each other in every way you can. You become friends. You become a family. I love finding new products and sharing them with other bloggers and my readers. I love having the interaction with others who are so like me. I love helping other mums (and dads) in any way I can, even at 3am when we are both up for the night feeds. Do I think I should be selected? No. I'm not particularly special. I'm just a mum. I wear pyjama bottoms 90% of the time and rarely wear make up. I drink far too much tea and eat too much chocolate. I'm not an expert at anything, some days I wonder how I make it through the day. But I love everything that Beebies stands for. I feel like I could be a great addition to the lovely team and I'd like to bring you some lovely competitions and reviews. So if you want me, I'm here. Drinking my tea, eating my chocolate and wearing my pyjama bottoms. I would totally vote for you to be an Beebies Baby Store ambassador.